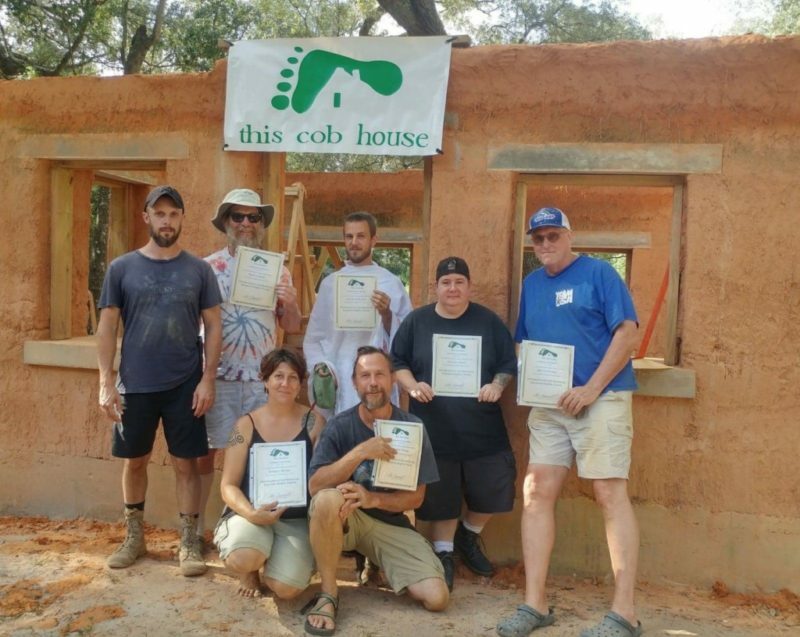 Cob Workshops Upcoming Events : : Learn to Build with Fast Cob! Learn to Build with Fast Cob! All of our Natural Building Workshops are led and facilitated by the builder of a 900 sq.ft. split level Cob Home. This home was built in 5 months during 2016. About 80% of it was built by one person – your workshop instructor – on his own. He had help putting up the floor and roofing beams as well as the giant windows and skylights, but 90% of the cobbing was done alone. That’s the power of this technique that we call Fast Cob! Compare that to his first building, built with the traditional West Coast Cob technique: a 64 sq.ft. utility shed that needed 28 people and 2 building seasons to complete. Fast Cob! was born in that first building when a man born and raised in Korea (Soban) came to a workshop in 2008 but didn’t like the mixing technique. He spent a few days incorporating his noodle-making technique and revolutionized our building life! For the past 11 years, that noodle-making technique has been enhancied and tweaked to make Fast Cob! at least 10x faster to mix and up to 30x faster to build cob walls…all on your own and without machines! 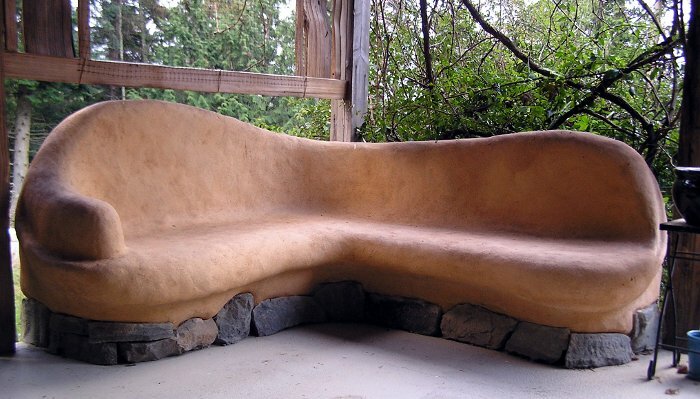 This is a serious revolution in Natural Building. The 900 sq.ft. home is almost 15x larger and took less time to build than a 64 sq.ft. utility shed. And we want to share this gift with you and the world! You’ll also see Super Fast Cob!, which built our solid, never-to-squeak, 13-step cob staircase with ease. 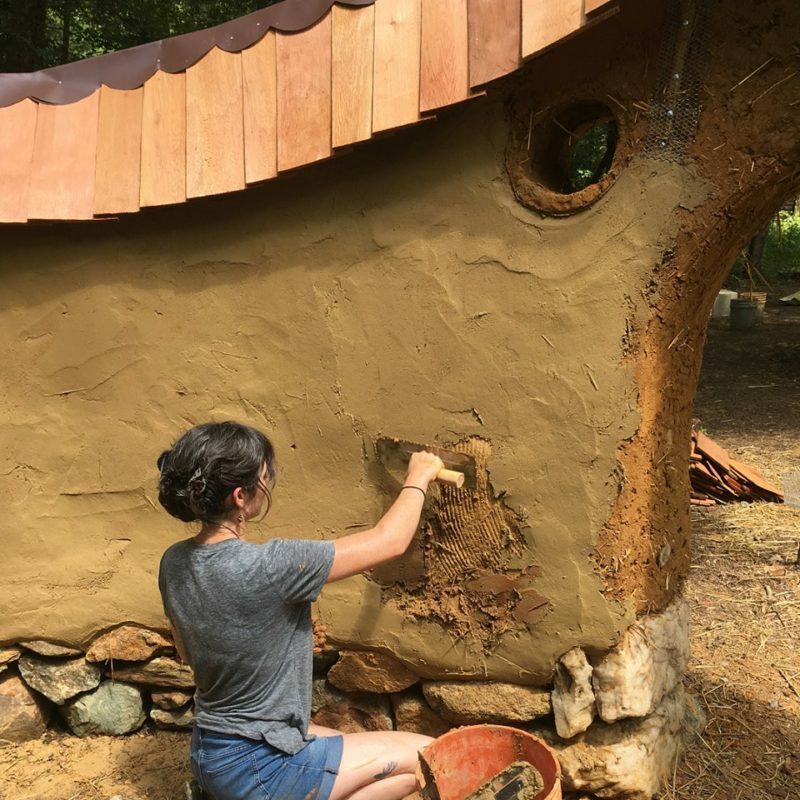 Natural Building has never been so easy…Come and Learn for Yourself! During this workshop, at a relaxed pace, we’ll learn and practice mixing and building with Fast Cob! As the week progresses, you’ll gain the skills and inspiration to build your own structures. In between hands-on Fast Cob! sessions, we’ll look at foundations, electrical, plumbing, upper floors, roofs, and general design. Everything you need to go off and start building on your own! Travel days to get to and from our workshops are Saturdays: we’ll begin with a welcoming, wholesome dinner the first evening and end with a farewell breakfast will fuel your return to the ferry dock the following Saturday morning. Every workshop day, we start with a meditative building session, followed by a hot, hearty breakfast. Two longer hands-on learning sessions sandwich a hot vegetarian lunch. Two snack breaks make sure we have the strength and stamina to absorb all the learning we can. 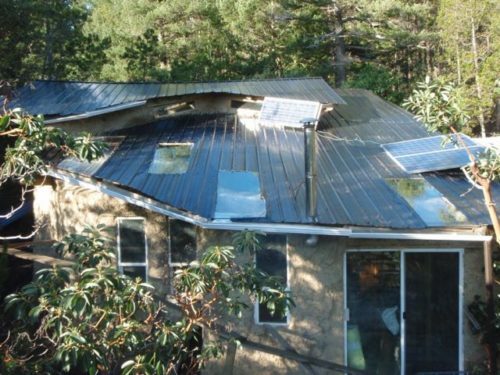 Most evenings, after a delicious dinner, we’ll have a discussion or mini-workshop on related activities, from ecologically-sensitive transportation to building a roof with cedar shakes. Remember, human-powered building is hard work. But since there are no machines or motors on site, it is a safe and quiet place for anyone, younger or older, and interesting conversation and laughter is common. This building site, and the materials for this building, were selected to make it as easy as possible to build an earthen structure. The pace is casual and you set your own; the more effort you give, the more learning you will take away. Natural Building is at least 95% experiential learning and you will be expected to self-motivate throughout the 5 daily scheduled sessions. The cost of the 8 day workshops is $997 and covers all meals (3 hot vegan/vegetarian meals prepared for you for each of the 6 full workshop days, plus a welcoming dinner and a good-bye breakfast), on-site camping, hot showers, and hands-on instruction. We use locally-grown, organic ingredients wherever possible. Please visit our website for more detailed information, testimonials, and to apply online for this or any of our other workshops…all of which were sold-out in 2017! © 2019 Cob Workshops All Rights Reserved.